As Biden, Nuland, and McCain sit warm and toasty, enjoying holiday meals with their families, many of the people of Ukraine will be freezing and starving, including the people in the Donbass. So many American and NATO leaders yelling “War!” from their armchairs, safe in the comfort of homes far from the suffering, shielded from the consequences. The Prime Minister of Ukraine, Arseniy Yatsenyuk, has stated that Ukraine does not have enough stockpiles of coal for the winter. He demanded that an emergency plan of measures be worked out to solve the problem. “According to the date which I have, it is clear that, as I warned three months ago, there is not a sufficient supply of coal. In order to avoid power outages as last year, I urgently demand an extraordinary plan of measures in order to pass the winter with a stable energy system in the country. 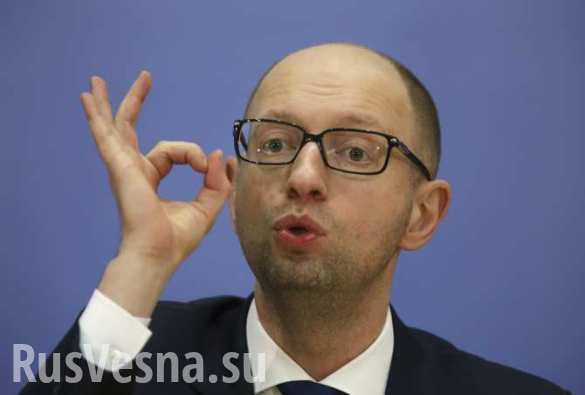 This is now the topic of discussion,” Yatsenyuk stated during a meeting with the anti-crisis energy headquarters. According to him, the state has allocated necessary resources, and now needs to get down to business. According to Demchishin, at the present moment supplies of coal from Russia and Donbass to Ukraine are restricted. This week, the Donetsk People’s Republic suspended deliveries of coal to Kiev-controlled territories and has stated that it will not resume deliveries until Ukraine restores the power supply to Crimea. Beyond the dire condition of the general Ukraine population this winter due to energy shortages and the vulnerable state of the electric grid due to no coal shipments from the Donbass and no money to pay for coal from other countries, is the fact that Ukraine’s many nuclear reactors are dependent on grid electricity. If the grid goes down, the reactors are extremely vulnerable if their generators don’t perform flawlessly. As other articles have stated, since the coup d’état in February 2014, the country’s reactors have been in a perilous environment. The criminal Americans and Europeans supporting the Kiev regime, including Nuland, Kerry, Soros, Cameron, and McCain, are not paying attention to this situation. But then, the reality of Fukushima isn’t part of their consideration either, despite the heavy radiation impacts to the Pacific Ocean and already to America, particularly the West Coast. The effects of another nuclear disaster would be immediate and cataclysmic. The frighteningly empty heads and the immorality of these politicians is putting everything on Earth at extreme risk. The world cannot afford their leadership. Citizens of the sponsoring countries that have brought us here — particularly the United States — must loudly protest this crisis and do everything possible to arrest these leaders. To be silent risks a complete humanitarian and environmental calamity. Nevertheless, I would still like to present a few considerations on the blockade of Crimea. If important decisions are now being made concerning Turkey, then the situation in Crimea has already become quite clear. 1. The situation with electricity in Crimea is quite sad, but it is not critical. Some stores are working and electricity generation is growing. It’s obvious that there will be blackouts, but important facilities such as, for example, hospitals, will have enough electricity available. 2. In Crimea there is quite a large fleet of powerful diesel generators which the state installed for Crimean enterprises earlier for free. Now these diesel generators are being confiscated from enterprises and over the next week will be distributed to strategically important infrastructural facilities. Another 300 small generators have been delivered to Crimea by plane by the Ministry for Emergency Situations. Thus, we can expect that after a week or two the issue of electricity will be more or less resolved. By the new year, the first energy bridge will be working which will allow the winter cold to be braved without problems. The final resolution of the electricity problem can be expected around spring time. 3. The Chinese are working to run a cable across the Kerch Strait. The first energy bridge will be working on December 20. Why are the Chinese, and not the Russians paving it? Because, as you see, it is urgently needed but we have not yet developed the necessary technology. 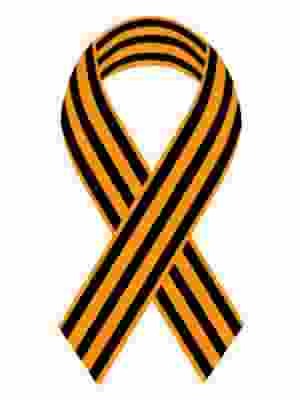 In fact, pay attention to the fact that the Chinese do not care that sanctions were imposed on Crimea. Relations with Russia are more important for them. 4. Some are writing that, as they say, Stalin provided Crimea with full electricity in three weeks. This is a somewhat naive assumption. First of all, the South of Russia has long had an energy deficit and there is a problem with capacity. Especially for Crimea the construction of the third energy unit of Rostov AES was accelerated and additional transmissions lines connecting Crimea with Kerch have been constructed. This is a large-scale construction project and a submarine cable is just a small part of this work. Accomplishing this work at a faster rate can only be economic at the expensive of quality, yet the situation with electricity with Crimea is not so urgent that a risk should be taken.